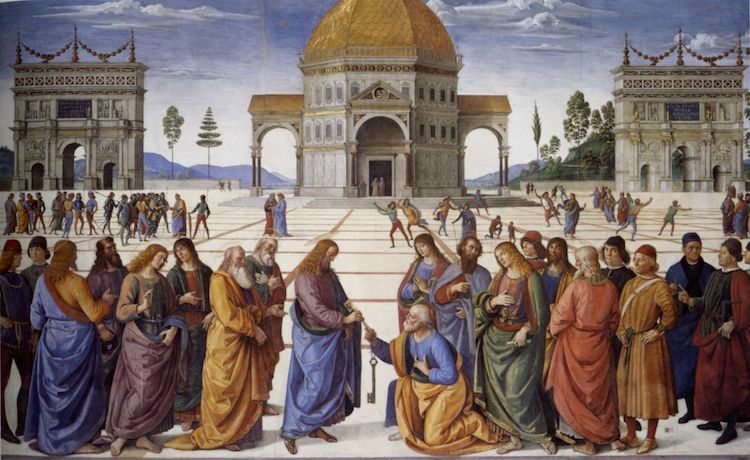 During the Dark Ages (approximately 500-1000 AD), Italian art was predominantly rooted in religion. In painting, this unique approach was characterized by spiritual iconography, flat compositions, unrealistic color palettes, and ethereal, otherworldly figures. In the 1300s, however, Italian artists based in Florence abandoned this distinctive aesthetic and adopted a more humanist approach to art. This time of change would eventually be known as the Italian Renaissance. While the exact impetus of the Italian Renaissance is not known, many scholars believe that the shift was due to economic instability, as 14th century Italy’s lack of investment opportunities prompted wealthy individuals to instead fund the arts. This increased interest in art lasted for several centuries and had a profound influence on Italian painting, sculpture, and architecture.